Aafke has long been searching for the answer to the question: how can I really be myself? For a long time, she did all kinds of things to become a happier, better person and to find the life that suited her. But that did not bring her what she craved for: to be intimately and effortlessly connected to herself and everything that is. Deep inside of her, she had always observed an untouched place of innocence, even during the severe depression from which she suffered in her youth. It was that unspoilt place inside of her which made her persist and keep searching for the way back to herself. In silent meditation she found the openness and silence that she had been searching for so long. But sitting on a cushion, just being with everything that arose, didn’t change her life. In fact, that made things worse so that the world entered even louder than before, in the form of recurrent thoughts and feelings of anger, disappointment and frustration. She began to doubt herself and experience a sense of failure. Meditation increasingly began to resemble a palliative rather than an in-depth and enlightening journey within – to that unspoilt place in herself. One day she came across Byron Katie’s book “Loving What Is”. In those four questions of “The Work” she discovered the missing link between meditation and daily life. She soon began to see that the strategy that she had always followed – doing as many things as possible to generate positive thoughts and feelings and fighting all negative thoughts – was a dead-end street. By living that way, she continually gave herself the feedback that something was not yet in order and that things had to change before she could experience lasting happiness. In The Work she got in touch with herself in a very natural way, by investigating her thoughts and feelings. What attracts her to The Work is that thoughts are not viewed as enemies. By holding them against the light and examining them everything that is not true dissolves, and the connection between the head and the heart is restored in an effortless and sustainable way. Thoughts, she discovered, are not something to fight against. On the contrary, once you stop resisting or believing them, they can bring you right back to your heart. In France, Aafke offers workshops, weekends and individual sessions. In addition, couples can contact her to work in peace and quiet on the subjects that they encounter. The term “couples” can be interpreted very broadly: these can also be colleagues, friends or family members. In Amsterdam, Aafke offers individual sessions, workshops and annual training courses. On request she also gives workshops and training in other places in the Netherlands. Aafke has completed Byron Katie’s the three-year certification process. She was certified by Byron Katie after a five-day assessment in the US. 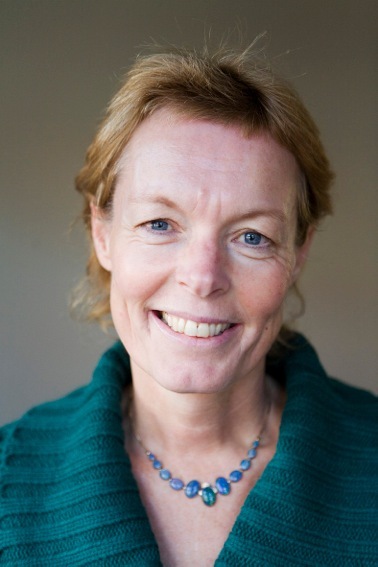 See also Aafke’s profile at http://www.thework.com/facilitators.php and on the Dutch website of Byron Katie.